TVMQG: Well that was interesting! We had a fun alternative meeting last night. No one showed up at Primitive Gatherings to unlock the door for us. So we did the logical thing and went to the bar! 8-Bit Brewing Company was happy to have us. We exchanged a lot of ideas and did a bit of Show and Tell. 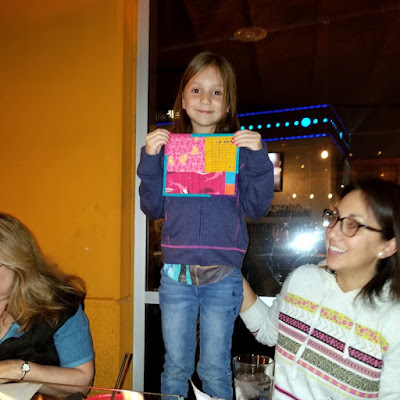 Angelica's daughter Isabel is our newest quilter. Look at the great job she did! 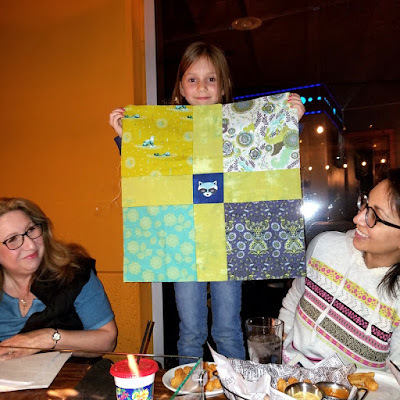 She made all of the fabric choices and even quilted the mini quilt! The quilt top below is for her BFF for Valentine's Day. Shhh! It's a surprise. 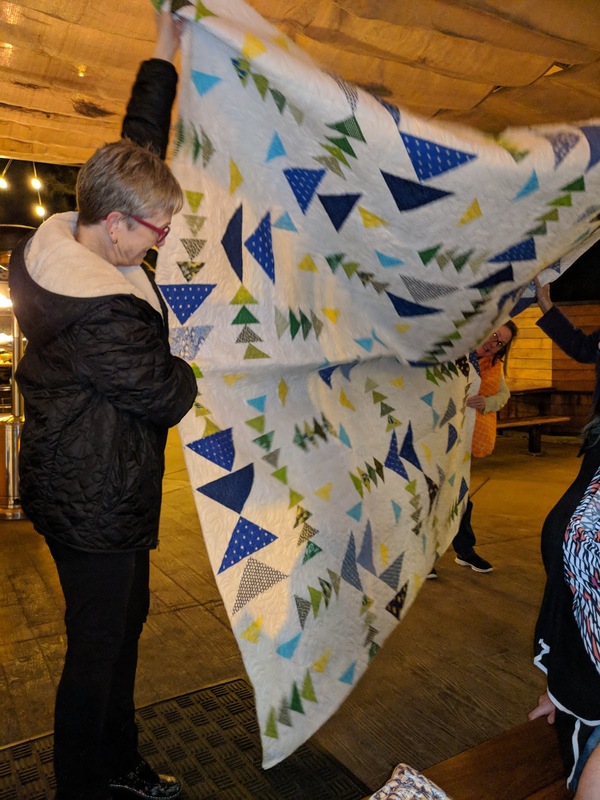 Angelica managed to surprise her husband with a Christmas Quilt. She made it without him realizing it was for him! Very sneaky! He even chose the blue strip at the top. 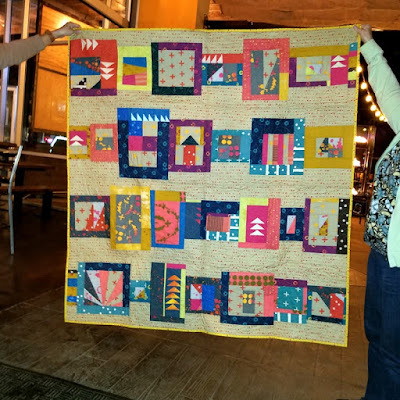 This is a Jelly-Roll Race Quilt and we'll be making a batch of these at our July meeting, as our next Charity Sew-In. 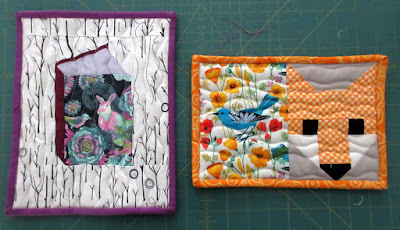 More details later, but in the meantime check out Missouri Star Quilt Co.'s YouTube tutorial here. 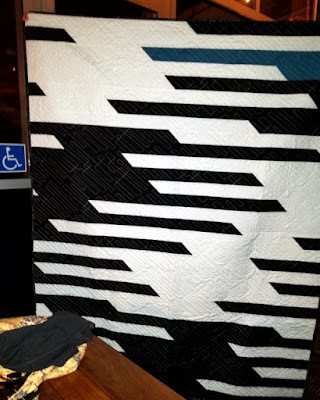 This is Susan's "It was going to be a quilt back" quilt. We sure are glad she made it as its own quilt. Jan shared the two mug rugs she made for her daughters for Valentine's Day. They'll be gifted with a coordinating mug. The book block is Tall Tales by Kate Basti, it's a free download at this link. 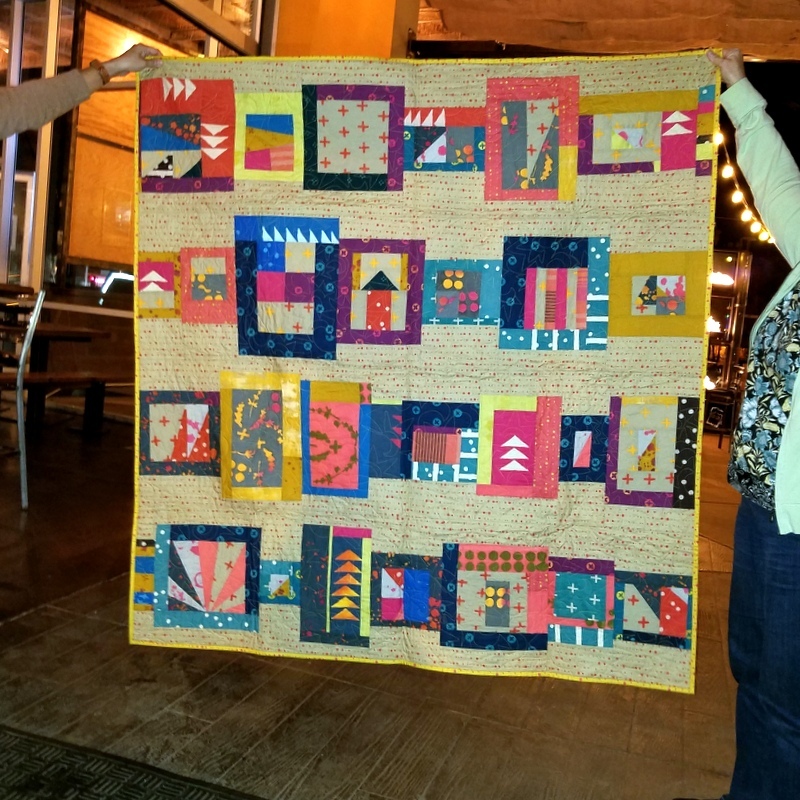 Nancy brought in the quilted MQG Charity Quilt! Angelica took it home and will be binding it in time for QuiltCon 2018 in Pasadena. Jan brought in her quilt she made for her grandson. He wanted a white background and a set pattern in his quilt so Jan made this wonderful flying geese quilt. And it's huge! 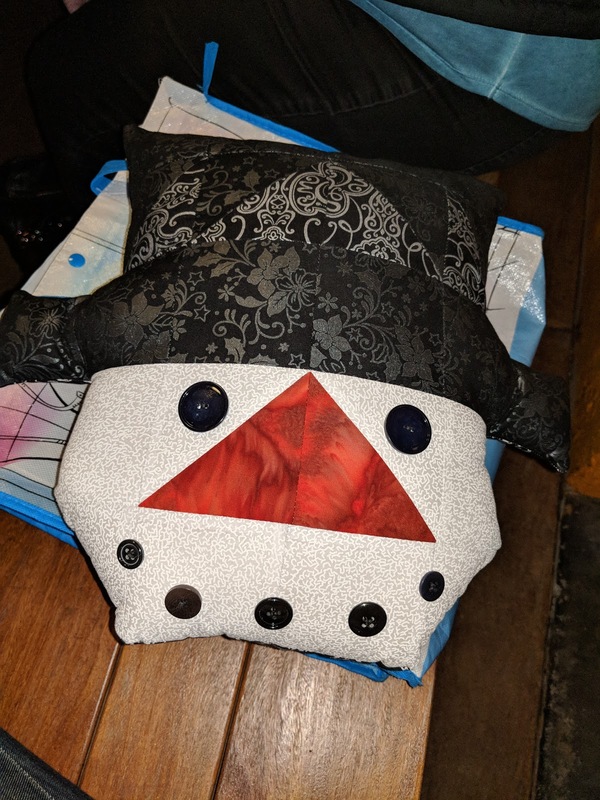 Maritza made this adorable snowman pillow for Christmas, which was very loved her by grand-kids. We've decided to donate our first batch of charity quilts to Jacob's House (click the link if you'd like to learn more). We have enough blocks for 5 quilts. February will be BOM catch-up month. Bring all finished blocks to the February meeting. Also, how about digging out your orphan blocks and squaring them to 12.5"? If they're smaller than 12.5", add a border. 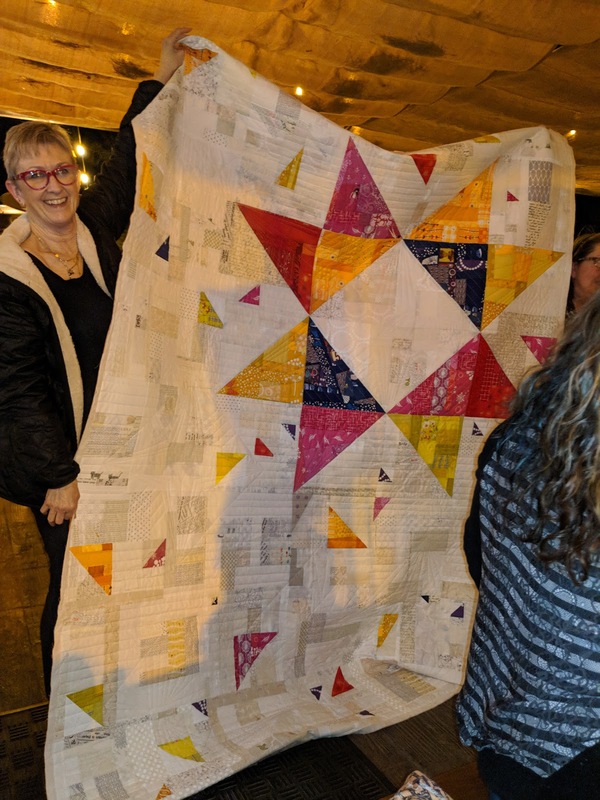 Maybe we'll have enough for some more charity quilts! We'll be continuing the Charity BOM program. This is a voluntary program, but a good way to build skills and donate to our Charity Quilt program. The next "new" block will be presented in February and will be due in March. Susan would love for you to volunteer to present a block. She'll have a sign-up sheet at the February meeting. Our guild now has a Pinterest account and one of the boards is 12" Blocks. Jessica is going to be coordinating meeting ideas this year. Let her know if you'd like to do a presentation or know someone who would like to. Right now we have 4 openings for demos. At the March meeting, we're going to have a Rope Bowl Demo. We want everyone to bring their machines (which must have a zigzag stitch) and we'll get started making a rope bowl. Bring the rope, too! Susan has graciously said that she will collect $10.50 from anyone who would like her to purchase the "good rope" from Amazon. Bring your $$ to the February meeting. 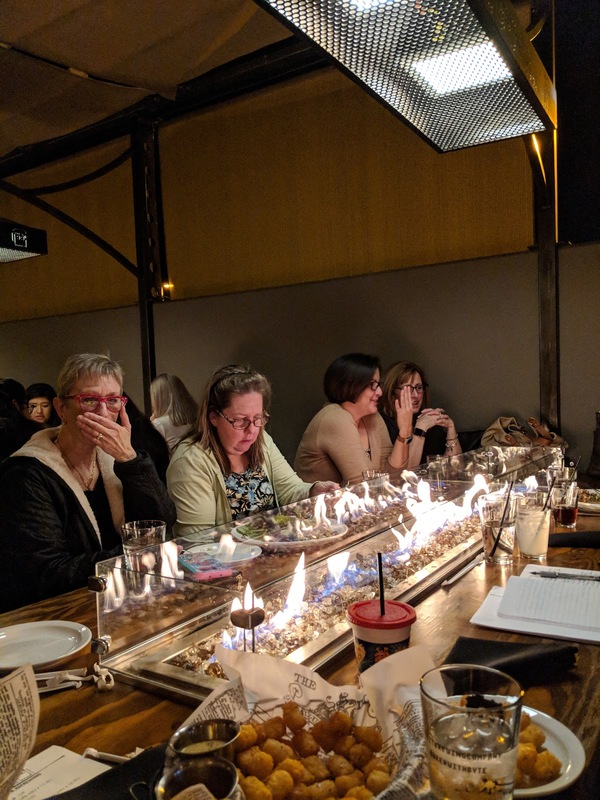 Our next meeting is February 15th, at Primitive Gatherings. Bring your catch-up BOMs, your Paint-Chip-Challenge item, and $10.50 if you want Susan to purchase the rope for your rope bowl. We'll be having a Quilt-As-You-Go demo. Hi everyone! I did have fun at Road on Thursday. You all had a great meeting too. I'd love to share a demo for our group regarding Embroidery tips for they're quilts. Let me know when I can share.